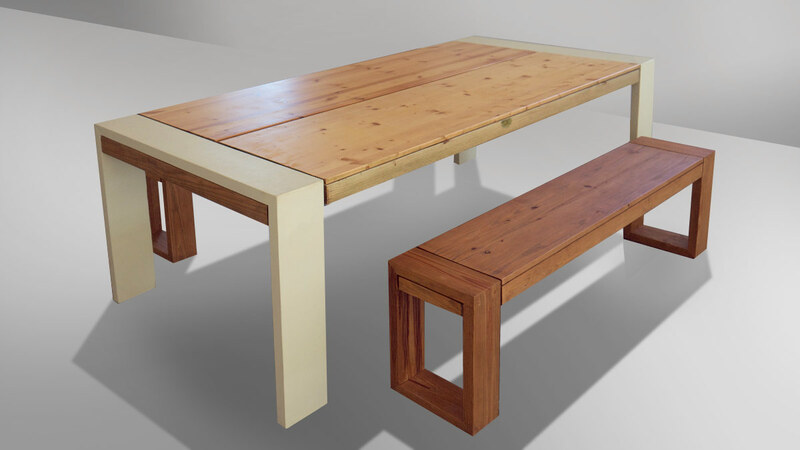 The Enzo is a large table with a split in the middle. 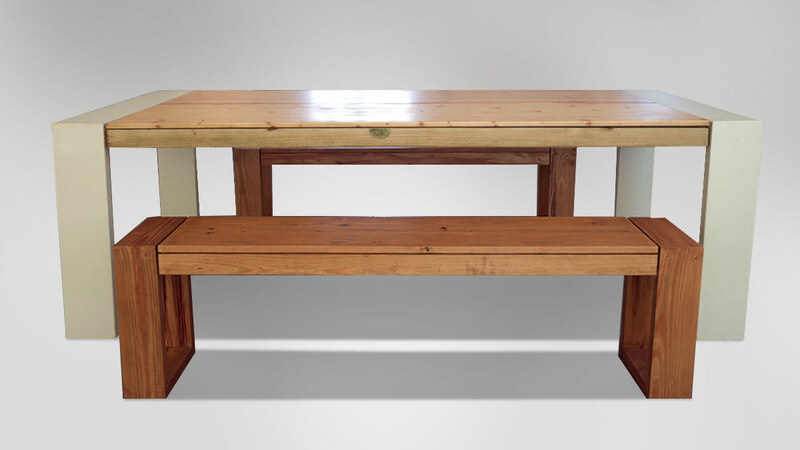 This model is made from pine wood and finished with a light walnut stain. The top is finished with a clear varnish layer. The legs are painted with a light greenish/off white coat. Items can be bought separately. 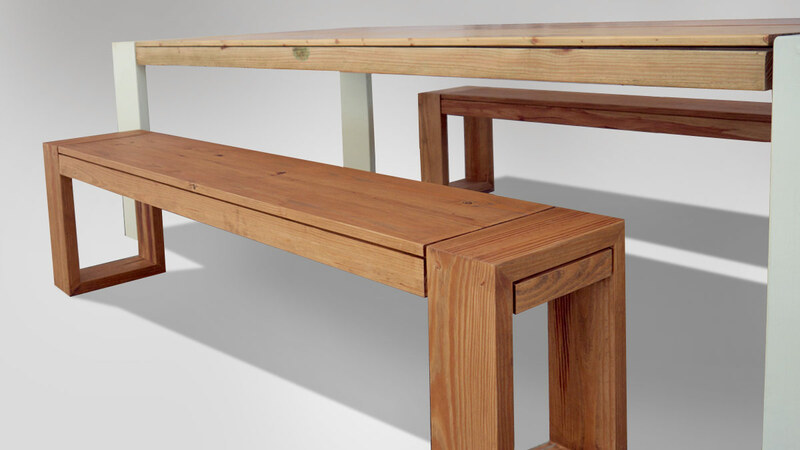 Customization options: We can customize the table or bench in dimensions or paint styles. You can choose from different wood types like Miranti, Mahogany, Cedar or Pine.